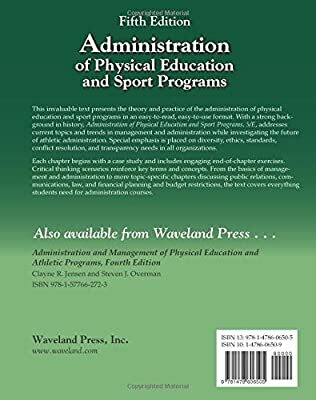 This vital text presents the theory and practice of the administration of physical education and sport programs in an easy-to-read, easy-to-use format. 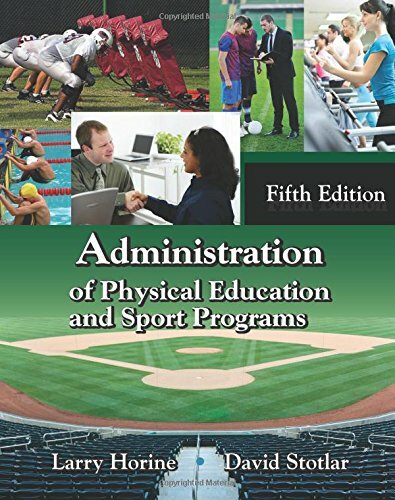 With a strong background in history, Administration of Physical Education and Sport Programs, 5/E addresses existing topics and patterns in management and administration while investigating the future of athletic administration. Special emphasis is put on variety, principles, standards, conflict resolution, and transparency needs in all companies. Each chapter begins with a case research study and consists of interesting end-of-chapter exercises. Important thinking scenarios strengthen crucial terms and concepts. 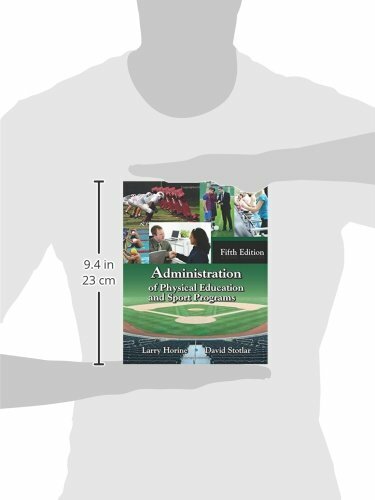 From the fundamentals of management and administration to more topic-specific chapters talking about public relations, communications, law, and financial planning and budget plan restrictions, the text covers everything trainees need for administration courses. 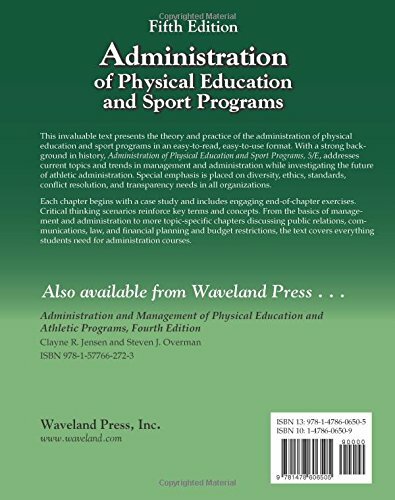 Title of related interest likewise from Waveland Press: Jensen-Overman, Administration and Management of Physical Education and Athletic Programs, Fourth Edition (ISBN 9781577662723).